Last week’s launch of Forever Evil and Villains Month caused nothing short of pandemonium at my local comic shop. When I arrived at the store last Wednesday, the parking lot was packed. I didn’t think much of it because the shop shares a parking lot with other businesses. But this time was different. I walked inside and there were people everywhere either holding stacks of comics or grabbing them off the shelves. I go every week at the same time so I saw several familiar faces. Others I had never seen before. I got what I needed and immediately left. I didn’t even hang around and socialize like I usually do because it was extremely busy. I usually arrive at the shop around 10 a.m. or a few minutes after. When I arrived this morning, the parking lot was packed. I approached two men standing outside the shop’s door and they informed me the store had not yet opened. As I turned to return to my truck, one of the employee’s unlocked the door. The two men walked in behind me and seconds later, several customers barged in. Knowing that this is the time when the owners and their employees are finishing up pulling titles for their regular customers, I began my routine of grabbing books off the shelf first and then head to the counter to collect my books from my pull box, taking caution as to not get in their way. Well it was difficult to stick to my routine today. People were grabbing books off the shelves and was in the way of the staff and myself. It wasn’t the regular customers that was creating the chaos, there were a couple of people I had never seen before. And of course the only books they were pulling were the 3-D motion covers. One of the employee’s came over and yelled out that he was still pulling titles for customers and to give him a moment so he could finish. Everything came to a complete halt as he and the owner finished pulling for the regulars. The guy standing next to me began to fidget so I knew right away to keep my eyes on him. If a book wasn’t on the shelf, then whoever had the book would return it. This went on for a couple of minutes and most of us chuckled as we yelled out, “Not me” or “I don’t have that one” while looking through the stacks in our arms. I was really enjoying myself at that time. But there’s always one bad apple. A title was called out and the guy that was fidgeting (he was also standing outside the door before the store opened) held up the book and loudly, but rudely, said that he got it off the shelf and that he should be able to have it. The staff told him the books go to the regulars first and that it wouldn’t be fair if they didn’t get their books. The guy immediately became loud and irate, but the staff held their ground. As he was handing over the book, he stopped and told the staff they could have all the books and to eff it and that it was a bunch of bullsh-t. He continued to yell as he stormed out the door, giving it a hard push. He turned, caught the door in his hand and yelled, “I got a stack in my car from (competitor) do you want those too?” He continued to storm off to his vehicle and sped off. I had a feeling he was going to act out from the moment I saw him fidgeting. So I moved to the other side of the store. While he was clowning I sat my books on the counter, preparing myself in case he got physical with anyone. I could feel the man standing behind me doing the same. A few customers told me they were ready to take him down if needed. One of the regular customers I speak to every week walked in as the guy sped out the parking lot. He told me he could sense chaos as he walked through the door, and that he felt as if he missed something. I told him everything that happened and he was not happy at all. I’m glad he missed it, he probably would’ve clobbered the guy just for his aggressive behavior towards the owners and their employees. I learned this scumbag is not a regular at the shop. He drives around to all the local shops looking for books. He looks for “hot” books in high-grade condition so he can buy them and put them up for sale later on that day. I could not believe he behaved that way and the owner said that has never happened before in the shop. There is no doubt this man already know that most, if not all, comic shops take care of their regular customers first. The owners and staff takes care of all their customers, no matter how needy or last-minute we are. They are always friendly and they don’t seem to mind that my never ending talkative self hangs out for at least an hour when it’s my Wednesday off from work. Also, the shop doesn’t officially open until 11 a.m. They always let their regular customers in early. The non-regulars slipped in (forcefully) today. So it came as no surprise that I, along with the other customers, were ready and willing to take him down if he would have even thought of getting physical with any of the staff. So yeah, Villains Month became reality at Amazing Book-Store in Flint, Michigan today. The difference? Our Justice League (staff, customers) is not dead. We defeated the villain, Flint The Flipper (I know it’s not a villainous name, but that’s all I could come up with)! Thanks a lot DC Comics. You probably didn’t know your comics would come to life huh?! I began reading this New 52 title with the last issue (#20) and was instantly hooked. I had no choice, it’s dark and full of nonstop action. Belle Reve Penitentiary is a prison for super-villains. Select villains have a chance to reduce their sentences by participating in a government program. Known as the Suicide Squad, the team performs deadly missions. Tiny bombs are implanted in their necks to keep them in check. Amanda Waller, the woman I love to hate, is Belle Reve’s director and the overseer of the Suicide Squad. And she’s her usual conniving and manipulative self. 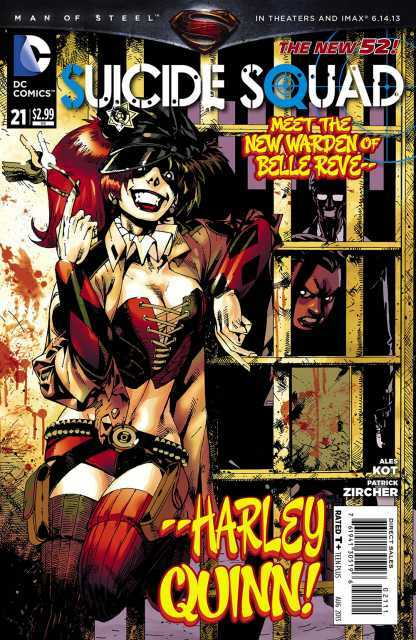 A riot takes place at Belle Reve and Harley Quinn appears to be at the center of it. Although Harley Quinn is looney, she exhibits a bit of intelligence. However I do not believe that she is the mastermind behind the attacks at the penitentiary. 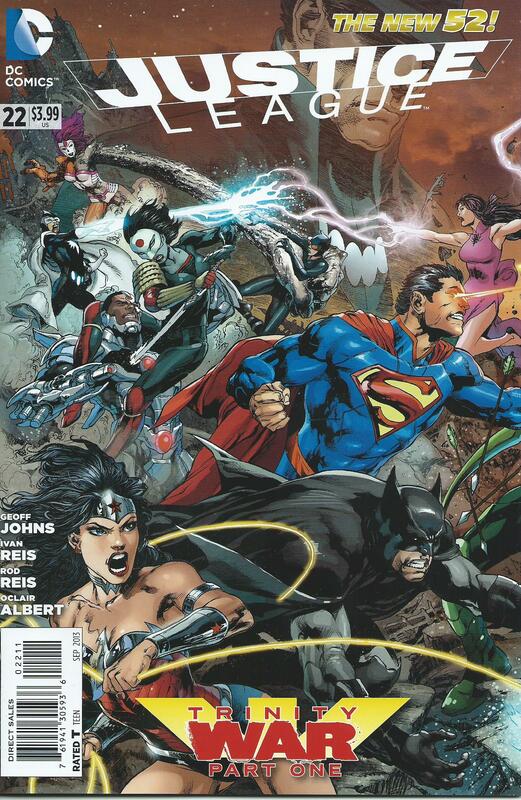 Other key players in this story are Deadshot, Cheetah and James Gordon, Jr. This story is action packed from the beginning. The characters are funny, scary and serious all at the same time. I definitely plan to continue reading this series to see where it’s heading. Ales Kot is the writer. Well written dialogue and easy to follow. I love the character interactions, especially Harley Quinn and Amanda Waller. Patrick Zircher is the artist and Jason Keith is the colorist. This team did a great job on the artwork. Lifelike characters. I especially like the realistic facial features of Deadshot and Amanda Waller. The only complaint I have is the look of Harley Quinn. She is one of my favorite characters in this series, but she looks too psychotic. I know she is mentally unstable but her appearance seems a bit exaggerated. This is only my second issue of reading this series, so I’m sure I’ll grow on her look. I know that I’ll appreciate her appearance more once I get more issues under my belt and learn a bit more about all the characters in the story. I recommend Suicide Squad, a New 52 title by DC Comics. Cain and his army has reached Themyscira, home of the Amazons. Cain’s quest is to take over the Amazons, the strongest army in the world. And the only way to kill Cain and his horde is by piercing their hearts and decapitation. Or expose them to sunlight because…….they are VAMPIRES! 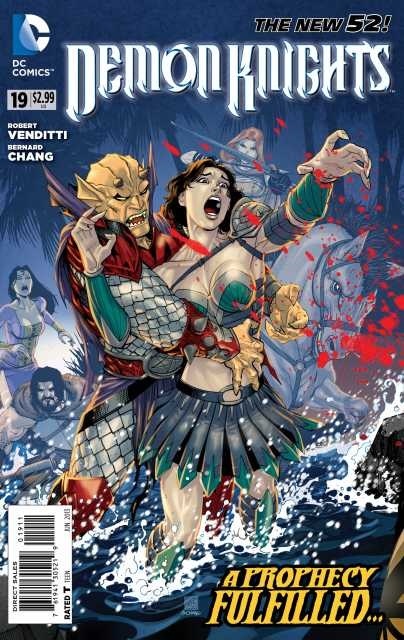 The Demon Knights (I listed the Knights in a previous post) comes to the aid of the Amazons, but they have one problem. The Knights need Etrigan for his strength but he’s to weak to return to Hell to re-energize. And Jason Blood is refusing to swap. When Lucifer learns that Cain is creating an army on Earth, he returns all of Etrigan’s power, and then some. And the battle begins. During the battle, Sir Ystin (Shining Knight) made a move that shocked the Demon Knights. Her explanation was that Merlin foretold her of this quest. What prophecy was fulfilled? What happened to the vampires? I am not giving out spoilers. You will have to read it and find out! So far I am still enjoying this New 52 title by DC Comics. I love magic, sorcery, and monsters. I also like vampires. So I was very anxious to see The Amazons, led by Queen Hippolyta, fight side-by-side with the Demon Knights in the battle against Cain and his army. I like how Robert Venditti, writer, kept the classic characteristics of vampires. Bloodlust. Victims turning into vampires within minutes. Can be killed by a stab through the heart. Hiding from sunlight. Bernard Chang is the artist and Marcelo Maiolo is the colorist. The two are great visual storytellers. I have been reading Demon Knights since the first issue, and I plan to continue following the series. 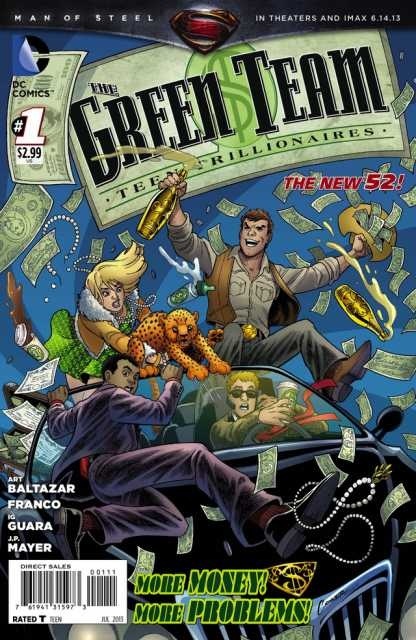 I highly recommend this New 52 title. The only things I know about John Constantine is that he was the main character in Hellblazer, which ended in February 2013. I also know that he’s currently a leading character in Justice League Dark. Constantine, a New 52 title by DC Comics, is about magic and sorcery. I found this debut issue hard to follow, most likely due to the fact that I have no idea who and what John Constantine is about. I wish the story, written by Ray Fawkes and Jeff Lemire, would have included a backstory. A lot of readers don’t know that Constantine is not a new character. There are also readers that know he’s been around but haven’t read any of his stories (like myself). I wouldn’t complain about a backstory if he was a new character. There are also characters in the story that I don’t know if they are new or appeared in previous stories with Constantine. There’s a young man named Chris that has a special ability. But thanks to Sargon the Sorceress, we are not able to find out who Chris really is and what his special ability is about. Sargon the Sorceress is the daughter of Sargon, a good magician gone corrupt. From the reading, I gathered that Constantine is a magician. I also gathered that he’s a detective, going great lengths to save the world from the dark. There’s also people out to kill him. The artwork is pretty good. Renato Guedes is the artist. Marcelo Maiolo is the colorist. I do not like how Sargon the Sorceress is drawn. She looks like an ordinary female wearing an old, worn and torn dress with body piercings. It’s her eyes that stands out and makes her look evil. As always, I gave my honest review. That’s pretty much all I have to say right now about the story. Again, without a backstory this issue is hard to follow. As of right now, I’m up in the air as to whether I’ll be reading issue #2 or not. 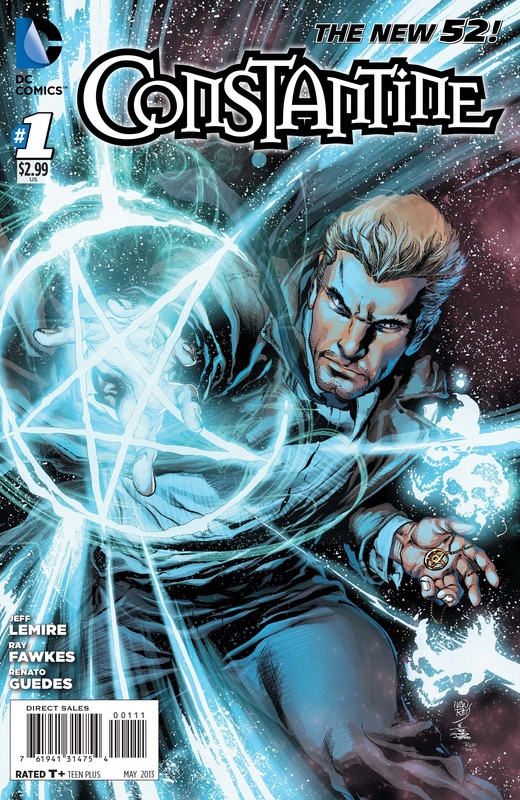 As much as I love dark, magic and sorcery, the debut story of Constantine didn’t grab my attention at all. If I decide to read issue #2, I will be sure to post a blog about it. Unless you know about Constantine, then I do not recommend this title. There is no backstory which makes the story hard to follow for new readers of this character.